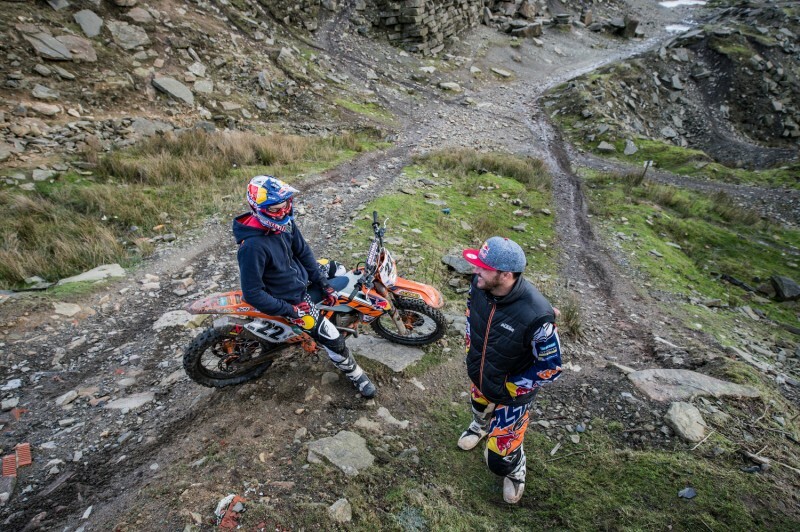 The KTM and Red Bull network encourages riders to get together and train, so when Sam Sunderland and good mate Jonny Walker went on a recent (very cold) riding day in Cowm Quarry, UK, we at the KTM BLOG took the opportunity to catch up with them. 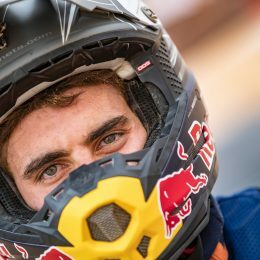 It was Sam’s first week back riding after that devastating femur injury that saw him miss the 2016 Dakar, which should have been the highlight of his year. The British racer, who bases himself in Dubai, crashed in the Merzouga Rally in November, just a few days after taking victory in the Morocco Rally and the runner-up spot in the Cross-Country Rallies World Championship. 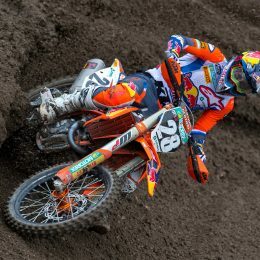 “Obviously not making Dakar wasn’t my plan. I did everything I could to try and make it, but it wasn’t to be. Now it’s done I’m obviously happy KTM won it for the 15th time in a row and of course that my buddy Toby won, but of course I want to win,” said Sam talking about Dakar and spending the two weeks watching through a computer screen rather than being part of the action. “It was a bit of a strange one this year with the canceled stages, shortened stages, but it’s behind me now; I’m here, back on the bike for the first time, and it just feels nice to be back at the tracks, back with the boys and to start riding. I’ve been really nervous about my leg the first few goes, but that will be better after a while and I’m back to work on the bike after months of rehabilitation,” continued Sam. 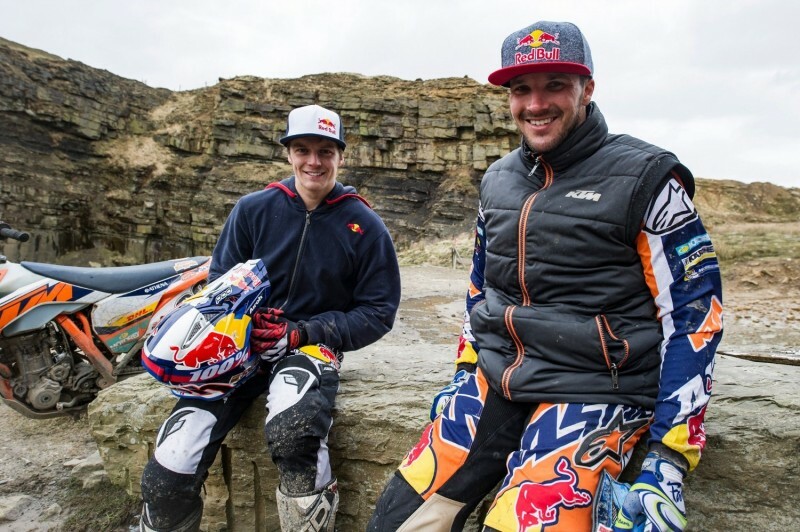 After breaking the femur and collarbone, Sam tried a super-human effort to be fit for Dakar, but the bone just wasn’t strong enough to take on the challenge of one of the most notorious races in the world. Sam explained that now, three months on, the femur is healed enough to ride, but it will be a year until it’s fully healed. Returning to riding after such a big injury is a nervous time for any person, and no different for a professional rider like Sam. 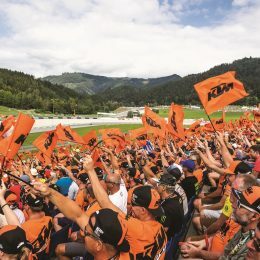 He took the opportunity of some time in Europe to hook up with fellow Red Bull and KTM racer Jonny Walker, although it’s a lot colder there than his homeland. Getting these two lads together, both of which compete in some of the hardest offroad disciplines in existence, was sure to produce some fun and laughs. 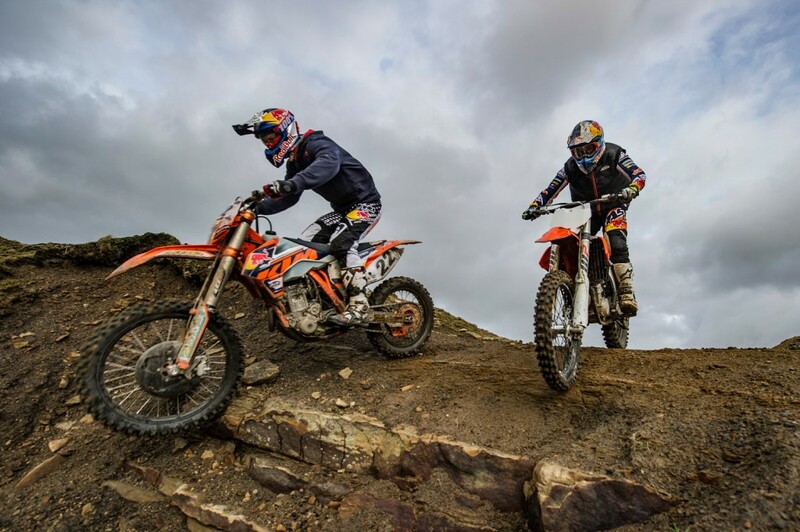 Jonny had his practice bike to hand, while Sam was armed with a KTM 450 SX-F to pick his way around the rocky quarry. 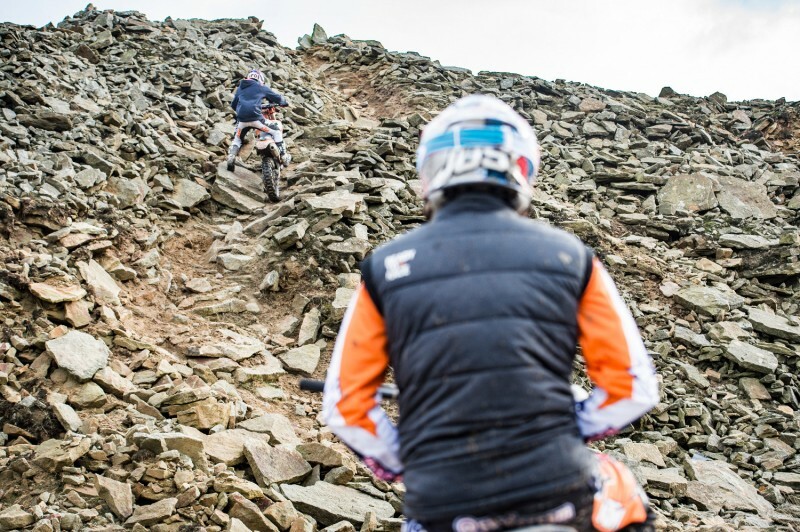 Jonny, who is fresh off the back of winning the first Extreme Enduro event of the year, explains that this kind of riding is important to keep the fun there. He’s been training intensely around the Christmas period, but a week riding and training in a less-pressurized environment keeps him motivated, and can help with his overall riding. “It’s good that Sam’s come over, and he’s had his own bike this time not riding or breaking mine (laughs), but it’s good to hang out and ride without the usual pressure. We’re both just training, but having fun and enjoying what we do. It’s been good to win the first race of the year (Ales Trèm Extreme Enduro in France) and it shows that all the training I’ve been doing has been worthwhile, but it’s back to the indoors for a few more races to try and win the world championship, then we’ll be back riding outdoors. Its tough, there’s a lot of competition, but it’s good to have a balance between serious riding and training, which I did a lot of over Christmas, and then have a good week riding, playing with the bike, and training with Sam,” concluded Jonny. 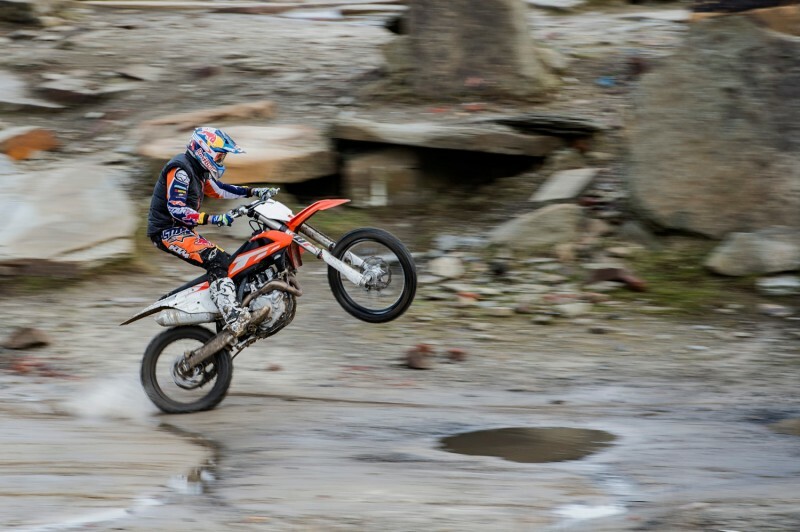 The fun is short-lived though, as after the Red Bull Athlete Summit Sam’s soon heading back to Dubai ready to step up his riding and prepare for the forthcoming rally season. “I head back and start getting ready for the Abu Dhabi desert challenge, which is the start of the Cross-Country Rallies World Championship. It’s good for me as it’s a home race, or as close to a home race as I can get, and I’ve nearly won it three times now, so I want to get it done this year, even though I’m coming back off an injury,” concluded Sam. Good luck Sam! Don’t overdo it.